Dallas, Texas (February 19, 2019) – Dallas Partner Clint A. Corrie will join a panel of speakers at an upcoming webcast hosted by the Knowledge Group on February 22 from 12:00 pm – 2:00 pm ET. The webcast, titled “Trends, Developments and Updates in the Broker-Dealer Regulation: What to Expect in 2019 and Beyond Live Webcast,” will discuss the changes and new rules that broker-dealers will be faced with in the new year. Speakers will also cover key issues such as: high risk brokers and supervisory issues, best execution and fixed income mark-up, cybersecurity, and exam priorities. This webcast can benefit investors, broker-dealers, financial/ investment advisers, securities lawyers, and other related professionals. The Knowledge Group is a leading provider of Continuing Legal Education, CLE, for lawyers, Continuing Professional Education, CPE, for accountants and a variety of other types of continuing education for other professions. Mr. Corrie is a member of Lewis Brisbois’ Complex Business & Commercial Litigation Practice, and focuses on banking, securities litigation, and arbitrations before FINRA panels. 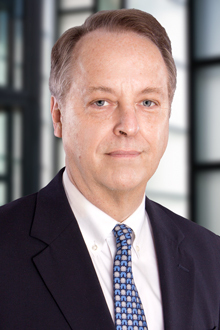 He also has experience in professional liability matters and coverage involving financial institution bonds. Learn more about this webcast and register here.